Shutters can really add a touch of elegance to your home, and with a wide range of options / colours available, our shutters can be made to look great in almost any home. You have three different types of timber to choose from, ranging from Basswood to Elm. There are also several different styles you can choose from – either full length traditional plantation shutters, continental style cafe shutters, or a modern ‘tier on tier’ design, in which the top and the bottom open independently. Basswood is the most affordable timber we currently offer. It’s high quality hardwood with the same smooth grain as Poplar and comes in 64mm or 89mm slats with front or hidden pushrods, giving you greater control over the way the product looks. 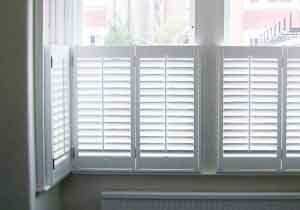 These shutters are available in a range of colours – just ask your surveyor! Our most popular choice, poplar is a sustainable hardwood and typically has a straight, uniform grain, and when spray painted in the factory it leaves a beautiful smooth finish. Poplar is a great compromise between cost and aesthetics. Premium elm is the most expensive wood we currently offer, but with its natural grain texture, this high quality hardwood is just as durable as the poplar, and looks incredible in any almost any home. Our premium elm shutters are available in 10 over wash painted colours and an additional 10 stained. 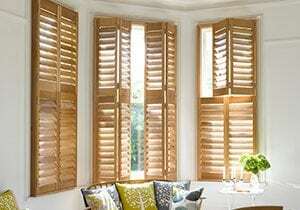 Made popular in the coffee houses and tea rooms of the 19th century, cafe shutters are an enduring example of continental chic. 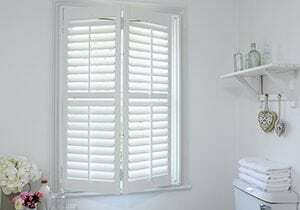 Our premium elm shutters are available in 10 wash painted colours and an additional 10 stained. A modern choice that gives you the flexibility to open either the top, the bottom, or both at the same time. Tier on Tier shutters are a popular choice for busy London streets, giving you the option between a bit of privacy or letting in as much light as possible. 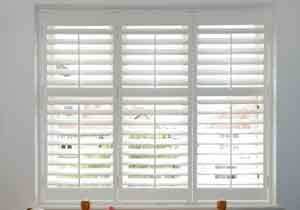 The classic, traditional plantation shutter design. 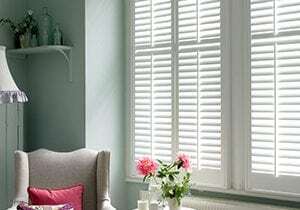 Charming and timeless, these shutters look beautiful in just about any home! 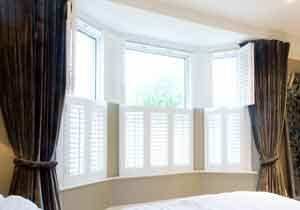 If you like the look of our shutters, why not look into some new sash windows as well?